I am linking up with Doodle Bugs Five for Friday Linky Party. Here are 5 random things from my week. Ha! Just kidding! That has so NOT been my week but Ahhhhh remember those carefree college days?? I have had a wonderful time this week being home with my little girls! In Arizona its has been in the high 90's all week so we have been outside enjoying the weather before it gets too HOT! 2. I bought new glasses yesterday. I am still trying to decide if I like them. You see, I am very blind and I HATE wearing glasses but since I have no choice, I figure I might as well make it fun and wear some funky frames. My five year old daughter took this picture, excuse my messy closet in the background! 3. I have been working very hard this week during my daughters nap time and at bedtime to revise my First Grade CORE Math Units! I have totally revised the first quarter units (units 1-4) and I think they are SO much better! 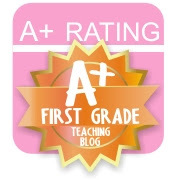 My First Grade CORE units were the first items I created for TpT over two years ago and I have learned so much more about the CORE curriculum and technology since then. I am now working on revising the second quarter units (5-8) and should have those posted in the next week or so. 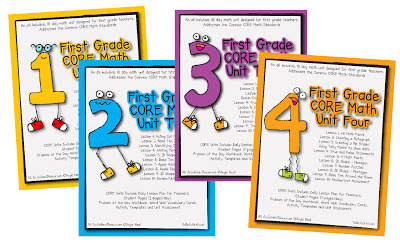 If you are already using these units in your class just re-download them if you are looking for complete CORE curriculum with daily lesson plans, math journals, practice pages and assessment you should check them out! Just read the feedback from other teachers and you will see how valuable these units could be in your classroom! 4. I bought a new skirt last week and I am totally obsessed with it! 5. Let's see if I can make this last thing school related...How about a FREEBIE? I just made these greater than, less than and equal to posters for Kindergarten CORE Math Unit 14 that I posted late last night. Click here to download the posters for FREE! (If you download the freebie, I would LOVE it if you would take the time to leave feedback). That skirt is fabulous!! I don't wear skirts or dresses but that skirt makes me want to! 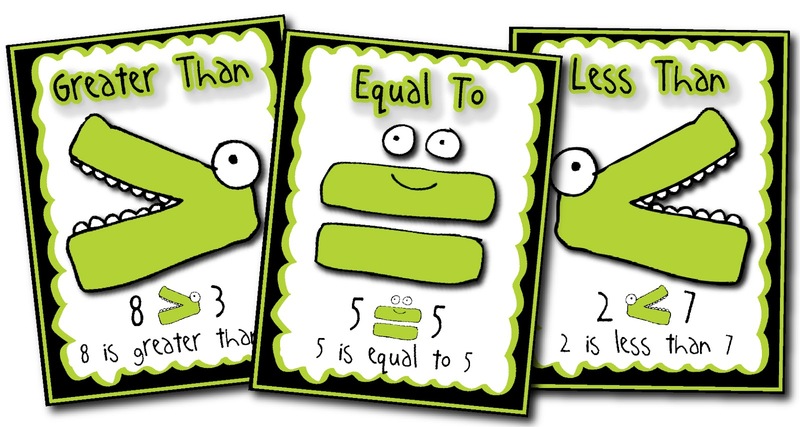 Thanks for the great freebie posters for less than, equal to and greater than! That skirt is really cute! It makes me want to get some new maxi dresses for the spring. Looks comfy for teaching! I love your Spring Break picture - ahhh, those were the days! So glad to have found you through the linky! I love the skirt! So cute! Also, thanks for the freebies! 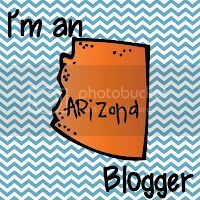 Found your blog through the link up. Love the freebie, thanks for sharing!! I love, love your skirt! Where is it from? Thank you for the GREAT posters!! Can't wait to use them in my classroom. The comparing freebie is so awesome! My kids will love it! Thank you! And please tell us where you bought the skirt from!!!! That just screams AWESOME! Do you plan to finish Kinder before starting 2nd grade? We just finished Unit 14 and are anxiously awaiting Units 15&16. thanks for the freebie, it's great!!! Love your skirt too. Thanks for the useful math visual.